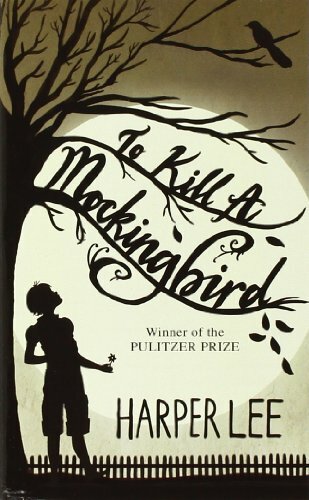 Just in case you aren’t quite as obsessed with book news as I am, Harper Lee, author of the American classic To Kill a Mockingbird, released a second novel yesterday. That’s right, the woman who has for years been famously reclusive, refused to grant interviews, and publicly stated she would never publish another novel now has a second spine with her name on it in libraries and bookstores: Go Set a Watchman. There’s been some controversy surrounding the publication of GSAW pretty much from the moment it was announced. The primary concern is that publishing the book might not be in line with Harper Lee’s wishes—after all, she is nearly 90 years old, lives in a nursing home, and by most accounts is almost completely deaf. It also seems suspicious to many in the reading public that her attorney supposedly found the manuscript of GSAW just months after Lee’s sister and protector, Alice, passed away. Further clouding matters is the fact that GSAW isn’t a novel totally separate from its predecessor. GSAW features a 26-year-old Jean Louise Finch, affectionately known by the nickname Scout in TKAM, returning to Maycomb, Alabama for a visit from her new home in New York City. Apparently GSAW was Lee’s first draft of what would eventually become TKAM. Her editor felt that the scenes in which Lee flashed back to Scout’s childhood in the 1930s were the most compelling, and advised her to do a rewrite with those years as the focus. Lee did so, and GSAW fell by the wayside, as first drafts tend to do. So there’s the basic background for you: Lee published an amazing first novel to wide acclaim, and now, decades later, the first draft of that masterpiece is being published as a separate work. So yeah, when I heard the news, I was pretty freakin’ excited. Call me insensitive, but no amount of situational shadiness could keep me from reading anything by Harper Lee. Whether she truly endorses the publication of GSAW or not, as soon as I heard the news I couldn’t wait to get my paws on it. Would it have perhaps been less gauche to wait to publish until after her death? Sure. But it’s in print now, there’s no going back, and if I had to choose between respecting a famous author’s wishes and having access to their work, I’d choose their work every time. Does it make me a terrible person if in this case I choose art over the artist? Eh, maybe it’s better not to plumb those depths. Having to work until 5:00 yesterday knowing the book was out there and available for reading nearly killed me. My sister-in-law sent me a picture of her copy of GSAW next to a kickass TKAM tote bag she got for free from her bookstore. Trapped at my desk, I kept thinking about all the people in the world who were currently reading the book while I wasn’t. It felt like the world was turning without me. When I got home, Adam had kindly already retrieved the book from the mailbox, unboxed it, and displayed it in on an end table so I’d see it when I first came in the door. Normally the first thing I want to do upon arriving home is strip off my uncomfortable working gal clothes, but yesterday I barely managed to get my shoes in the closet. Apparently the promise of a new book makes the chub-squeezing of control top hosiery fade to background noise. After a brief break to order takeout, it was back to the book. And thank the Lord it’s only 278 pages, because if I hadn’t been able to finish the book by bedtime, I think I would have had to call in sick today. So what did I think? It’s really hard to say. GSAW is a good book. It has the signature Harper Lee Southern wit. Adult Scout is exactly what you’d hope her to be—still irreverent, still a bit of a tomboy, still thinking sharply about what goes on in the world around her. Through some impassioned arguments Scout has with her family members, Lee makes some great points about racism. Is it a masterpiece on par with TKAM, though? No. But is that so surprising? It’s a draft. The fact that Lee’s draft is publishable at all is a testament to her remarkable skill as a writer. Thus, my take is that for maximum enjoyment, GSAW should be approached as an interesting historical artifact. Because that’s what it is. In it, you can see the beginnings of what TKAM would become. There is a hilarious childhood scene with Scout, Jem and Dill which ends with Scout buck naked in front of a reverend. And there’s some great parallelism when grown-up Jean Louise goes to the courthouse and sits in the balcony, but instead of watching her father nobly defend a black man, she hears him publicly endorse segregation. Oh yeah—did I forget to mention? The Atticus of GSAW is decidedly different from the Atticus of TKAM. He’s no longer an ardent supporter of civil rights. He argues for segregation based on that good old Southern value of states’ rights. It’s…weird. And a little troubling, when other aspects of his character are so instantly recognizable, like how slow he is to anger and his trademark dry humor. Atticus’s stance is troubling to Jean Louise too, in the extreme. She’s always idolized her father, but now that she’s lived north of the Mason-Dixon, she finds her perspective has changed. Maybe her father isn’t the perfect man she always thought he was. GSAW is therefore about Jean Louise taking Atticus off his pedestal and becoming responsible for her own conscience. 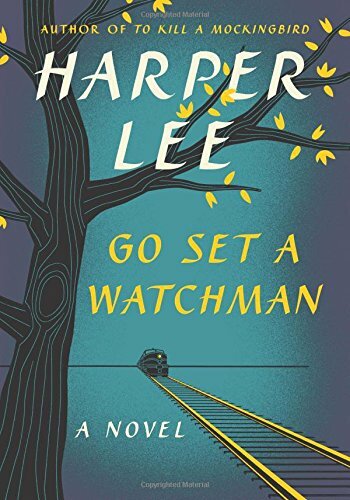 GSAW is worth a read, especially for the many readers who loved TKAM. But going in with the right expectations is key. If you think of it as a way to get to know Lee a bit better, to get inside the novel-writing process, you’ll be golden. But if you expect Go Set a Watchman to slap you in the face with awesomeness, you’ll probably be disappointed.